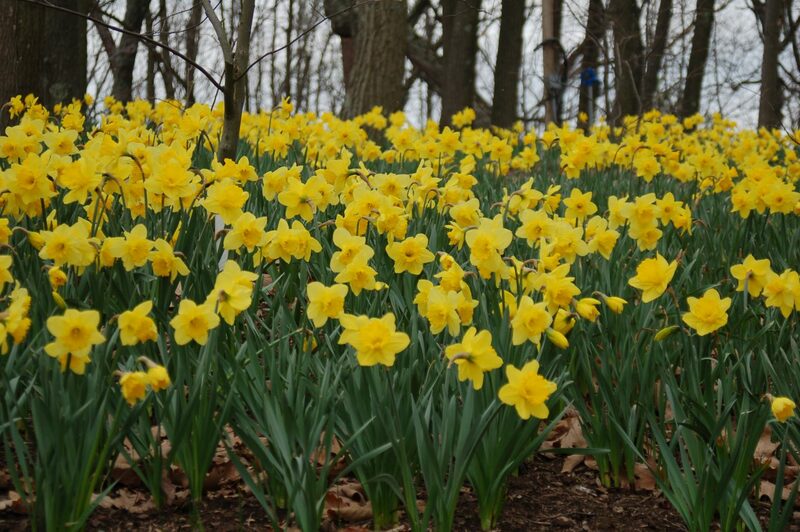 Daffodils are one of the first flowers to welcome us to Spring and remind us winter is nearing its conclusion. We are coming up on Spring and you will now find space in those group exercise classes that were overflowing with newcomers who want to live healthier lives. You may also even get to use the cardio machine in front of the television that is tuned in to your favorite show. That is if you are one of the individuals remaining steadfast to your 2019 fitness commitment. It is hard, I know. I know because I have been there. My first gym membership was more of a donation membership. I was very excited at the option to workout 24 hours a day thinking to myself “Wow – so I can come in at any time of the day or night! How cool is that?” I think I even said it out loud to the attendant showing me around. She smiled because she knew. She knew she would not see me after two weeks. And she was right. I know, right? Why is that? Why did I not keep going? I had such good intentions. Well, unfortunately, I do not know why. It is personal really. More importantly, you should know, my personal is not your personal. Commitment, ‘stick to it liveness’ is whatever works for you personally. What worked for me was figuring out why going to the gym was even worth the effort in the first place. I needed to know more. Today, I can tell you that I know a lot more. I now have a Masters degree in Sport and Health Science. In all the studies I reviewed during my years of education and all the clients with whom I have worked over the past 7 years as a personal trainer, I have discovered the best motivator is the one you can buy in to. Additionally, for improving fitness or losing weight, personal trainer or a wellness coach you connect with is a worthy investment. You need help. But that help must be the one that is there for you not for themselves. Your personal trainer will not let you off the hook as easily as your buddy will. I know, I’ve been there done that. Before my lifestyle change, I had such a friend in my neighbor. She always said “okay” every time I whined, “it’s too cold out,” or “my tummy is upset,” “I am still sore from last week’s workout” or professed “I need to ____ do something else, anything else, other than exercise”. Yeah, you’ve said those things right? But with a trainer, it is a commitment you both are invested in. If you need a goal, your personal trainer will help you develop one that is realistic. Losing 30 pounds this month is not realistic nor is it healthy! It’s just not. Sure – a dietary shift to nutritious foods combined with increased movement may result in an initial and quick weight loss of 5 pounds, maybe even more if you were previously sitting on your behind all day. But after that, losing 1-2 pounds a week is the recommended sustainable rate. What I am saying is you will need to adjust your 30-pound weight loss goal to 3 months from now. let’s compute this. You want to lose 30 pounds. Let’s assume you are gung ho at the get-go and lose 5 – 6 pounds in that first week! Yes, that’s good motivation to keep going. Spoiler alert. Most of that will be water and you still have 24 pounds to go. Even if you stay with the dietary changes and the activity, you will be looking at 12 weeks, 90 days, 3 months – MINIMUM – that is what it takes! So here we are about to start that third month after the New Year’s resolution but your scale is not providing the result that was hoped for. And maybe your body is feeling sluggish or your irritability is becoming noticeable. Oh, this is not good right? If it is not making you look better or feel better and other people are being negatively affected, then it is time for a change of plans. It is time to seek out professional help. No not a therapist. Well, maybe a therapist if you truly are starving yourself or becoming obsessive about your exercise at the expense of your family and friends. First and foremost, quit reading the articles brought to you as ‘click bait’ – meaning the headline baited you into clicking. Pay attention to what you put into your body. This is your source of fuel. I will share much more on this in the future. For now – just pay attention. Look at it, write it down, use an app like MyFitnessPal, doesn’t matter – just being mindful alone will help. Increase the volume of physical effort you put forth every day. This is your use of the fuel you consumed. This is best accomplished by doing something you enjoy or truly believe in because you are much more likely to continue partaking in an activity you love. This may change over time. With activity, change is a good thing but no matter what it is, you have to enjoy what you do in order to keep doing it. Provide your body the rest it needs to recover and replenish. Yes. It is that simple. Look for more about each of these three simple steps. In the meantime, get back to basics. What do you think about these tips to live healthier? Reach out to me by clicking on my profile below and let’s continue the conversation.